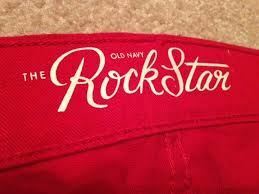 Get ready to Rock by wearing Robbie Red Super Skinny Jeans by Old Navy. Button closure and zip fly. Scoop pockets and coin pocket in front; patch pockets in back. Smooth, medium-weight. light-wash denim with added stretch. Sits high on waist. 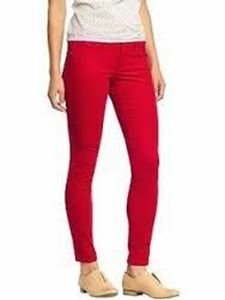 Fitted through hip and thigh. Skinny leg. Machine wash. Imported.